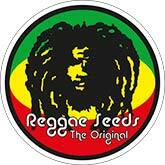 Reggae Seeds appears in 2006 after years of experience growing and selecting plants. This seed bank is characterized for having worked extensively with pure strains of marijuana (also called land races). After all this work of selection, the first fruits: varieties adapted to growing marijuana indoors, and very valid for outdoor growing. The seed bank has been awarded several times by different specialists jurors. A seed bank created by experienced growers glad of good smoke. 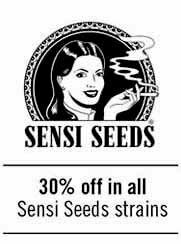 In his catalog of feminized seeds varieties can be found in packs of 3 and 7 seeds. Varieties like Juanita la Lagrimosa, Blackdance and Mrs. Amparo will please any grower. 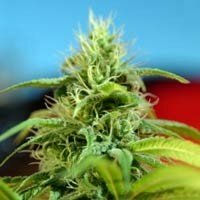 Reggae Seeds presents its new strain: Roots, a very expected genetic. Rootsis a crossing between Reina Madre and Kalija, compact during growing phase, that streches a bit during flowering due to its sativa influence (Reina Madre). A plant that will activate your mind, that will serve very interesting phenotypes. Respectis a crossing between Juanita la Lagrimosa and Cannalope Haze. A early flowering sativa, heavy yielder, good for both, indoors and outdoors. Respect can present two different phenotypes clearly different: One with bigger internodal space, and the other one more compact and bushy. A realy easy to grow plant, for all kinds of growers. SantYerbasi presents Kalija,one of the first works from Jimmy, breeder at Reggae Seeds. A strain with a indica structure and high effect. Kalija is a medium to low yielder, but with great taste and flavours. Best way to grow it is in Sea Of Green gardens. Guayaka is a multiple crossing of Guayaba x Chem Dog x Afgani x Chem91. A very compact strain, resistant against pests, and easy to grow. Guayaka's yield is medium, with an energetic effect. 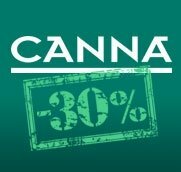 Some individuals contain a high percentage of CBD. Dub seeds from Reggae Seeds seedbank create short flowering plant, easy to grow, and good yields. A good strain for Sea Of Green gardens, that also works good outdoors. SantYerbasi adds to its seed catalogue this Dancehall from reggae Seeeds. Dancehall is a crossing between Juanita la Lagrimosa and a Kalijah male. With a mediu to high yielding, and very homogeneous, has a certainly short flowering period being a sativa. Brain effect, longlasting and creative.